As a pastor I turn to the Bible regularly. It is the well from which I draw in my preaching, in my teaching, and for spiritual sustenance. At times it inspires and other times it infuriates. Scripture is both a culturally bound document that reflects the thoughts and experiences of people long dead. At the same time it is a sacred document that is looked to for a word from God. 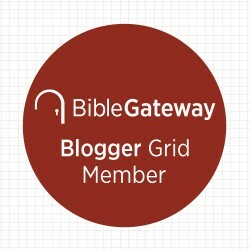 As you can see, I'm a member of the Bible Gateway Blogger Grid. 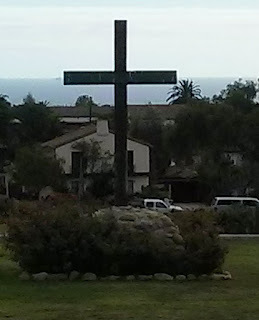 Whenever you see see a Bible reference, you will usually see it linked to the appropriate place on the Bible Gateway website. More often than not it is linked to the New Revised Standard Version or the Common English Bible. If you choose to read the text, and don't find either of these versions suitable, then you're free to try one of the many others that are present on that site. It's a blessing to have such a resource available to us. At the very least it saves a lot of space on the desk! But having access to a wide variety of translations is only the beginning of the task of reading scripture. Scripture must be interpreted. The meaning that is present there must be brought forth across time. It's not just words being translated -- it's meaning as well. As a preacher, I hope and pray that when I wrestle with Scripture and share my thoughts on Sunday morning in a sermon, that these words carry a certain amount of inspiration. That is, I pray that God's Spirit will speak to the hearts of those who hear the words, and that as a result something transformative takes place. Karl Barth spoke of a three-fold Word of God. Christ, Scripture, and Preaching. Christ is, for Barth God's preeminent witness or Word. Scripture becomes Word of God when pointing to Christ, and preaching becomes Word of God when it rests upon Scripture and points to Christ. We pray then that the Spirit inspires our engagement with this Word, that we might draw close to God, in whom our spirits rest.